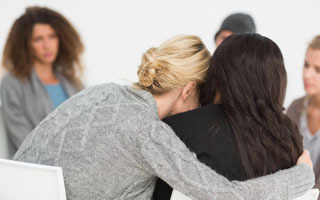 Derry Well Women is a not-for-profit centre which offers health and social care services to women of all ages in a welcoming, relaxed, safe and confidential space. Our approach is holistic – based on meeting your physical, mental and emotional needs, with the help of our health, well-being and social care experts. And this approach works! We are an award-winning centre of excellence, respected by health professionals and used by over 2,000 women each year. Our services cover areas as diverse as cancer, mental health, and fitness, to parenting, breastfeeding support, miscarriage and menopause. We deliver our services via clinics, programmes, courses, classes, support groups and counselling and other one-to-one services. If you would like to make a donation to Derry Well Women please click the ‘Donate Now’ button. Thank you for your contribution. Including Counselling Services, Coping with Anxiety and Depression Programme, Mindfulness Classes. 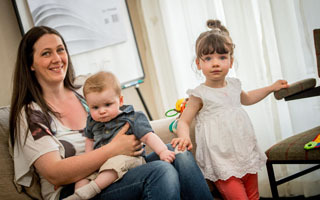 Including Post Natal Depression support Programme, Baby Massage, Ante Natal Classes, Creche. 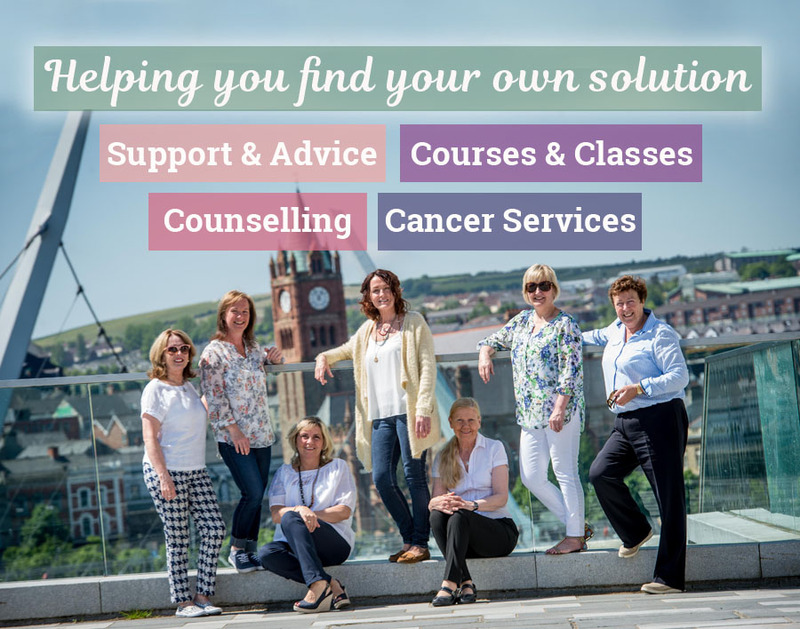 Including Cancer Support Group, Cancer Counselling, Self Care Programmes, Complementary Therapies. Including Yoga, Reflexology, Podiatry, Therapeutic Singing. Including Eating Disorders, Living with MS,Trauma Counselling. GPs, Health Visitors, Community Psychiatric Nurses, Social Workers, Health Practitioners. All of our programmes, courses and support groups are designed in line with what you told us you want. We want to hear your ideas and suggestions for new programmes which you would like us to offer and suggestions on how we can do better than what we already provide.